If you are like me and wait till the very last minute to figure out what you are taking to a party you will love this recipe! If you are nothing like me and always plan ahead then you will still love this recipe! My Mom has been making this forever and I have absolutely no idea where the recipe came from but it doesn't really matter because it is AWESOME! It requires 3 ingredients and very little time-as in less than 5 minutes and only a slow cooker! 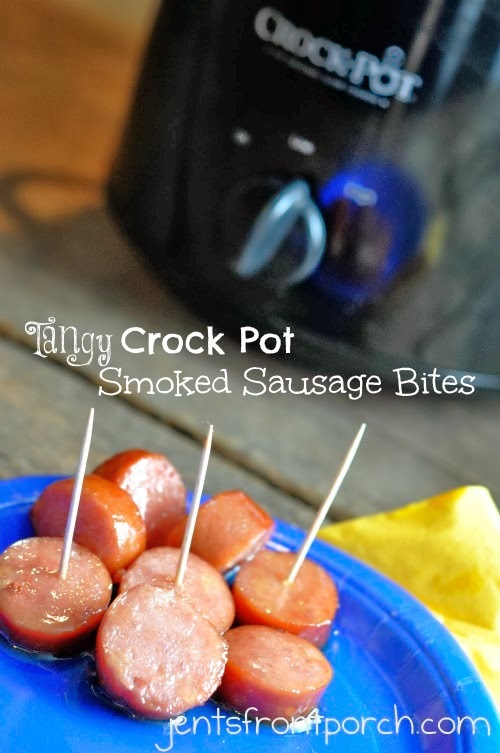 Slice the smoked sausage into bite size pieces, place in your slow cooker, add both jars of apple jelly, a squirt of yellow mustard - set on Low and cook till party time - you actually might want to give it a stir once the jelly melts to combine everything. In a hurry: set your slow cooker on high and just stir sooner-turn down to low once cooked! In an even bigger hurry: Combine all 3 ingredients in a pan and heat on the stove, put in your crock pot on low or warm to serve during the party! Chef's (that's me) notes: I am aware that 'squirt' is not an actual measurement however I have total faith that you can determine and actively administer a squirt of mustard without much trouble! I have also not listed a recommended amount of cooking time that is because the brilliance of this recipe is the ease-if they look done and are warm they are good to go - trust your inner chef! I got the best possible service by them for my work in the most affordable rates! I would like everyone to contact them because their service is out of this world! The talent of collection the stuff that you are providing is so amazing. The benistar customer support team is actually particularly centered on the actual administration associated with retiree healthcare as well as prescription drug ideas. We’ll help your own retired people without hurrying all of them off the telephone and make all of them feel at ease. Electronic registration -- there isn’t any person programs required…..